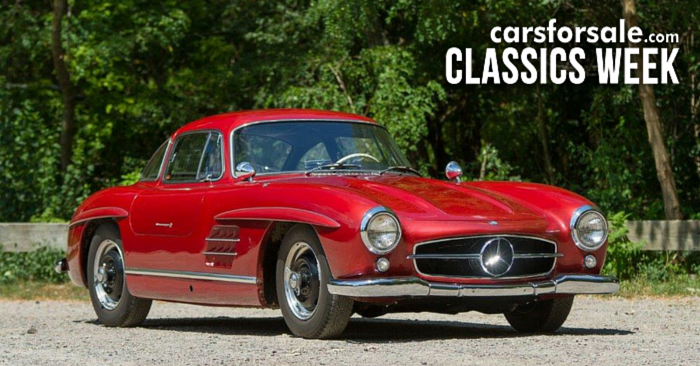 It’s Classics Week at Carsforsale.com and we are drooling over the hundreds and thousands of classic cars produced throughout the years. 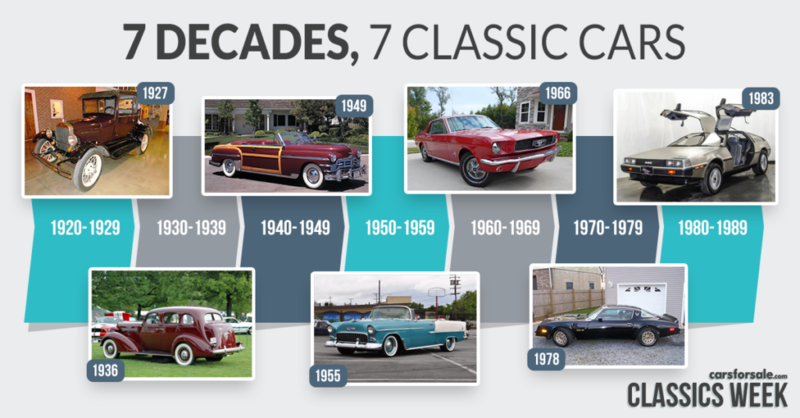 Classic cars have played a large role in the history of our country, so we have selected seven classic cars that we believe defined each decade between 1920 and 1980. 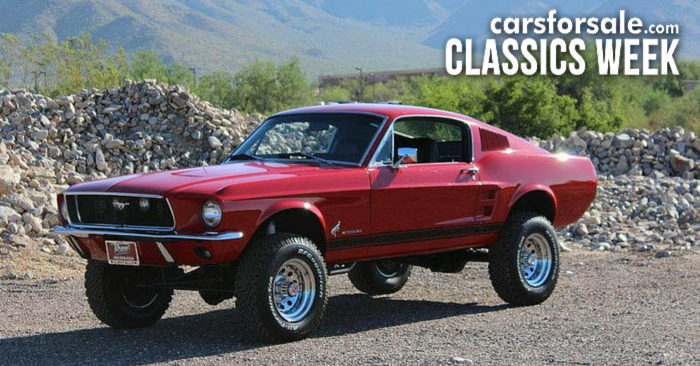 Have memories with these classics or other classic cars? Share them with us! Modern living was sparked by the Roaring ‘20s. Automobiles, like many other “luxury” products, were only available to the elite until now. 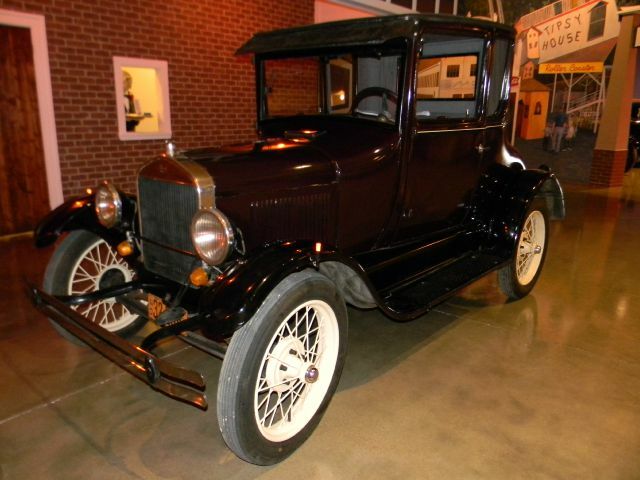 The Model T is regarded as the first affordable automobile that opened travel to the middle-class American. An international poll named the Model T the most influential car of the 20th century, and we couldn’t agree more. It was the first car to be built by multiple countries simultaneously. Toward the end of production, consumers wanted more than an affordable car, they wanted luxury, style and speed. This trend caused production of this iconic automobile to end in 1927. From the Great Depression to impending war, the ‘30s were a decade of challenges. American car manufacturers were trying to regroup and save sales in a struggling economy. 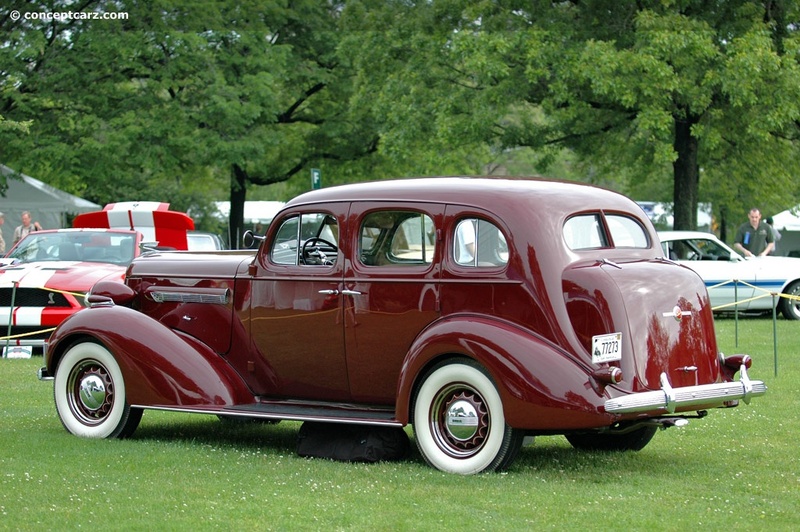 The 1936 Buick Series 40 was just one result of these economic difficulties that defined the decade. Only a handful of cars were produced during the height of the great depression. Buick forged on in tough times to create the Series 40, which grew in popularity throughout production. The 93 horsepower engine could produce a top speed of 85 miles per hour. Production ended as the USA entered World War II. The United States was at war during much of the ‘40s, but this decade was so much more than conflict. The ‘40s were a time of great change. Men came home from war and highway systems were expanded. The 1949 Chrysler Town and Country was the pinnacle of postwar glamour. 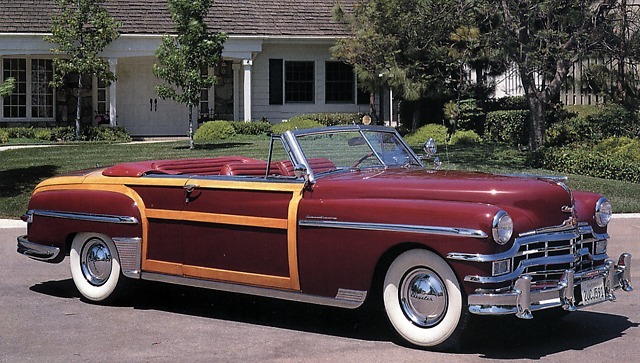 The ’49 Town and Country was the perfect expression of status. The 135 horsepower roared behind ornate front fenders and a large egg crate grille. 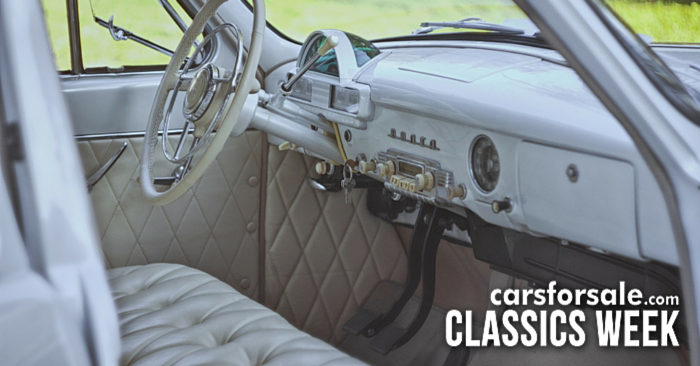 This vehicle featured Chrysler’s first starter key switch, and the industry’s first padded dashboard. 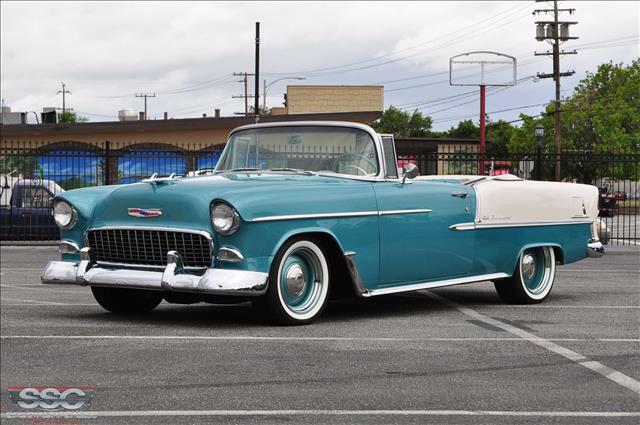 The ’55 Bel Air was so much more than a pretty face. It boasted an optional “Turbo Fire” V8 block upgrade and improved handling. The ride was smoother thanks to “Glide Ride” suspension with coil springs, a new “spherical joint” and unequal length a-arms. The ‘60s left a legacy of mixed feelings. It was a decade of liberation and resentment. A time of polarization and empowerment. 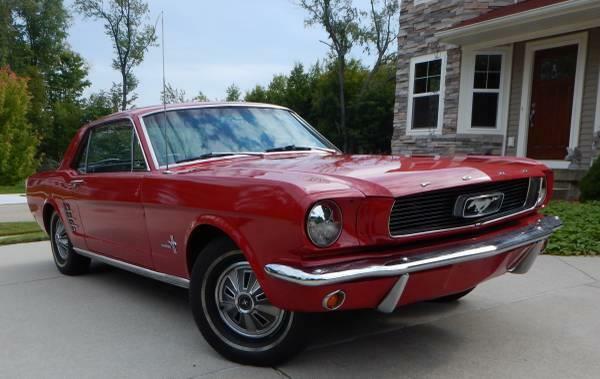 It was a turbulent and controversial decade that is embodied perfectly by the top-selling ’66 Mustang. “Youth is a wonderful thing. 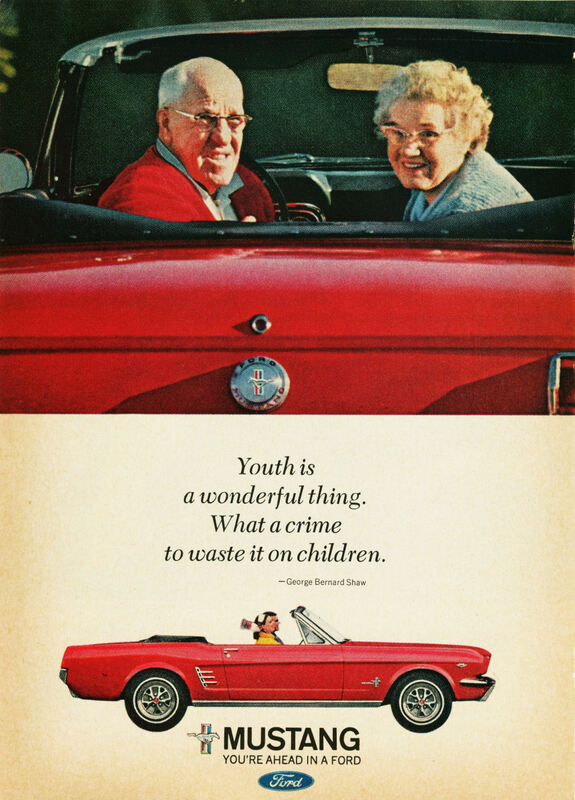 What a crime to waste it on children,” claimed the 1966 Ford advertisement. This Mustang had a youthful spirit. 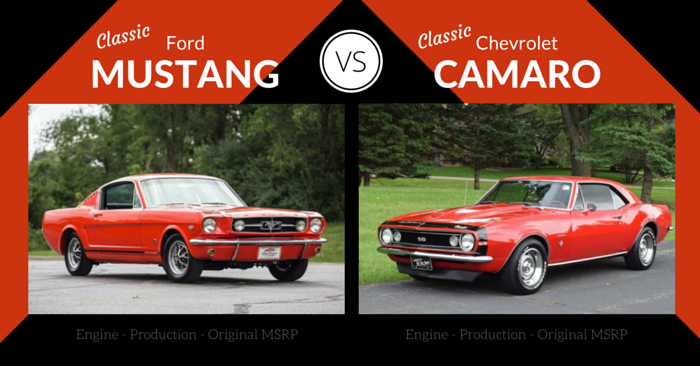 1966 was the year the Ford Mustang finally established itself as a premium American muscle car. This was the car to have if you were seeking the fountain of youth. The Ford Mustang is still in production today. See the improvements in the 2015 Mustang. Sticky notes, video games, video cassettes, liposuction and the personal computer. 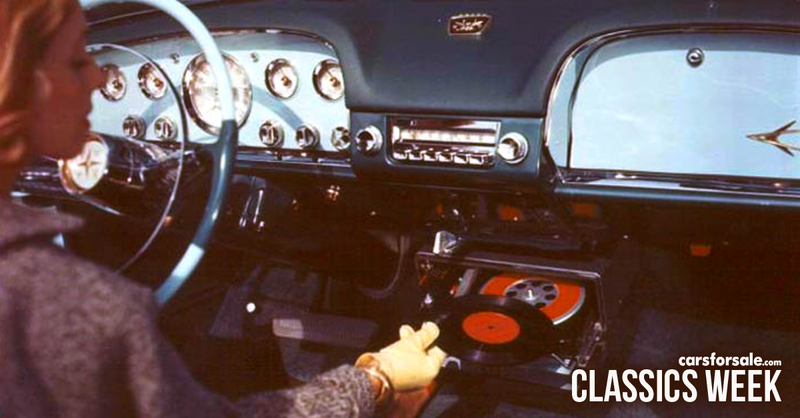 A lot of great innovation occurred in the ‘70s, despite it being an era of economic struggle. In the automotive world, some believe performance died after 1970. Automakers struggling with emission and fuel economy demands were sacrificing horsepower at alarming rates. 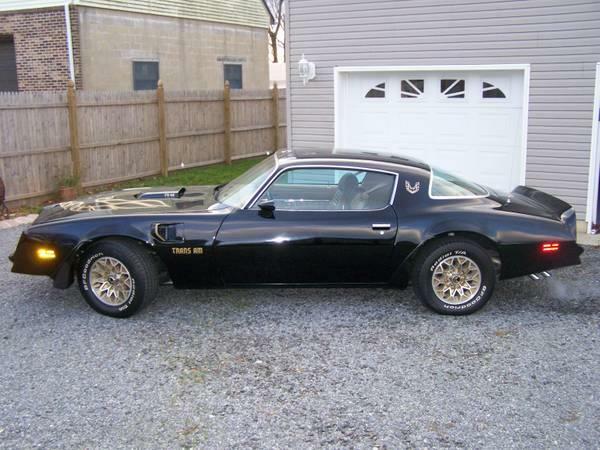 Thankfully, the ’78 Trans Am began to reverse this trend. Aside from the use of a Trans Am in Smokey and the Bandit, the Trans Am earned its popularity by increasing engine performance in spite of new regulations. The innovation of this classic car truly embodies the innovation of the 1970s. Hear me out on this one. By no means was the DeLorean DMC-12 the best vehicle of the 1980s. It was overweight, underpowered and expensive. The poor performance does not discredit the iconic appearance of this vehicle. The image of the DeLorean is enough to characterize this decade of great social and economic change. The products and developments of the ‘80s were unprecedented; as was the appearance and impact of the DeLorean. 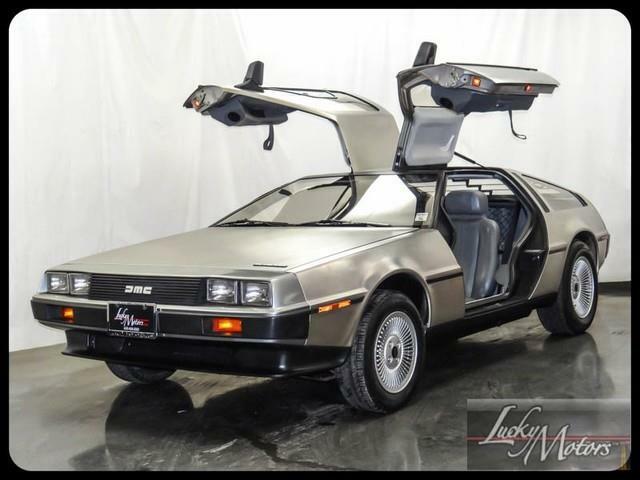 The unpainted stainless steel body and gull-wing doors created a futuristic appearance that perfectly fit the role of time machine in Back to the Future.